On World Environment Day, do you know what is most dirty in your daily life? 5th June 2018, New Delhi: Cleanliness is not a luxury but a need. India has progressed and become a world leader on various fronts but when it comes to cleanliness, we are way behind some of the many smaller countries. Three and a half years after the launch of the Swachh Bharat Mission, there is some awareness about the importance of environment and need for cleanliness in our daily lives but there are still miles to go. 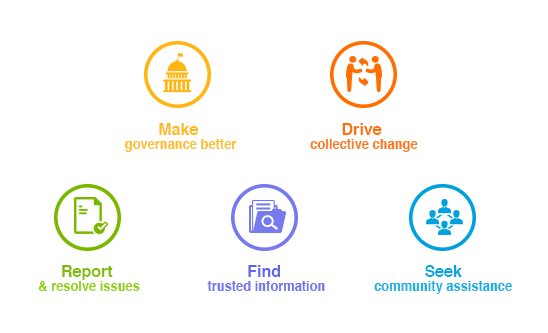 On World Environment day, citizen engagement platform LocalCircles conducted a series of polls to identify the areas that require ‘cleaning attention’ by people in their everyday life in office and at home, in which a staggering 74,000+ votes were received. Poll 1: 61% citizens say behind the toilet seat is the dirtiest spot in bathroom. 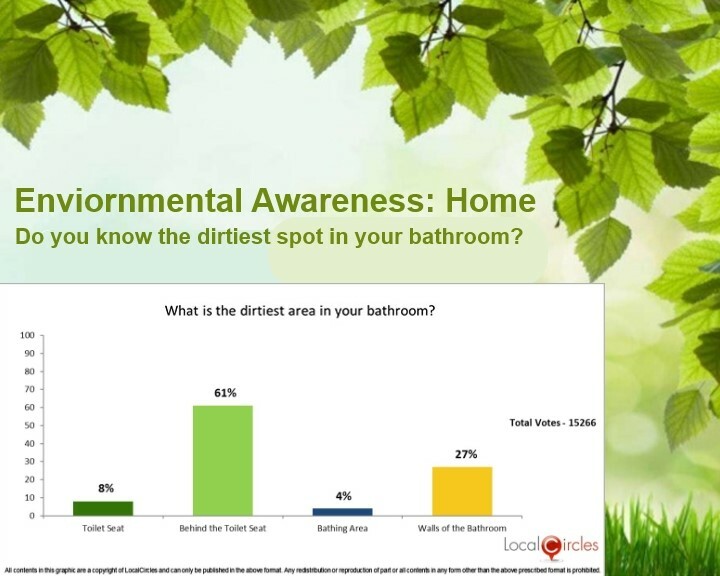 In the first poll, when asked what the dirtiest area in their bathroom was, 61% said it was the area behind the toilet seat and 27% said it were the walls of the bathroom. 8% said it was the toilet seat and 4% said it was the bathing area. This poll received 15,266 votes. Everyone wants their kitchen to be the cleanest part of their homes as that is where the food is cooked. 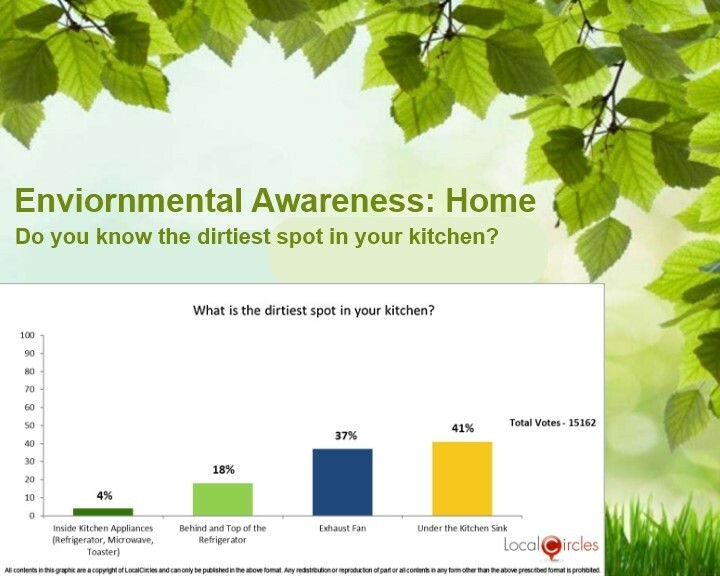 In the second poll which got more than 15,000 votes, 41% people said that the area under the sink was the dirtiest area in their kitchen. 37% said it was the exhaust fan, 18% said it was the area behind and on top of the refrigerator and only 4% said it was the inside of the fridge, microwave and toastier. Poll 3: 50% citizens say on top of fans is the dirtiest spot in the living room. The third poll asked about the dirtiest spot in the living room. We all kind of already know the answer to this but are a little lazy to act. Out of the 14,912 citizens who voted, a large 50% said that it was on top of their fans, while 19% said it was behind the sofas. 17% said it was behind the television and 14% said it was behind the computer/work table. Poll 4: 34% citizens say dish cloth is the dirtiest item in home. 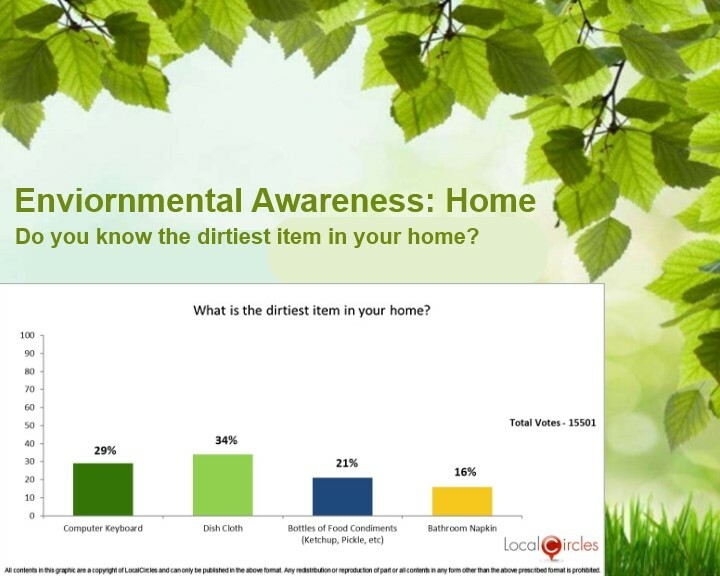 The fourth poll asked about what did people think was the dirtiest item in their homes and this will come as a surprise to many! The dish cloth came out to be the most popular choice with 34% voters choosing it. 29% people chose computer keyboard, 21% chose ketchup, pickle bottles etc. and 16% opted for bathroom napkins. Poll 5: 47% citizens say computer keyboard is the dirtiest item in office. Moving on to the place where we spend more than one-third of our time every day – office! 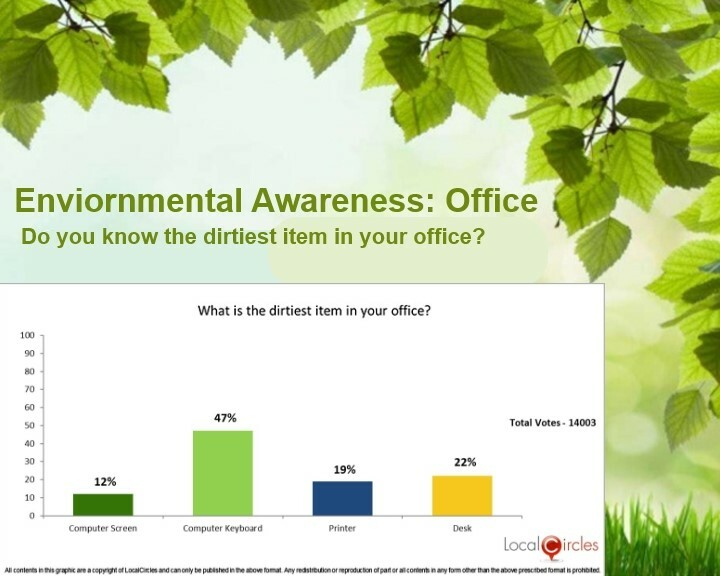 The last poll asked people what was the dirtiest item in their office. With 14,000+ people voting on it, 47% said it was their computer keyboard, 22% said it was their desk, 19% said it was their printer and 12% said it was their computer screen. Citizens also suggested various ways in which they could keep their home and office clean. These included corporates making sure that their garbage generated by them is disposed well, educating their employees to keep their desks clean, making sure that there are enough dustbins at different places around the office space, engaging with street vendors outside their office building and training them on garbage disposal and keeping the surroundings clean etc. On the home front, citizens suggested that homemakers must keep an eye over their maid and how she is disposing off the waste and if any deviation must be rectified with repeated positive reinforcement, making sure that the waste they generate is segregated at source, children being taught to throw garbage only in dustbins etc. 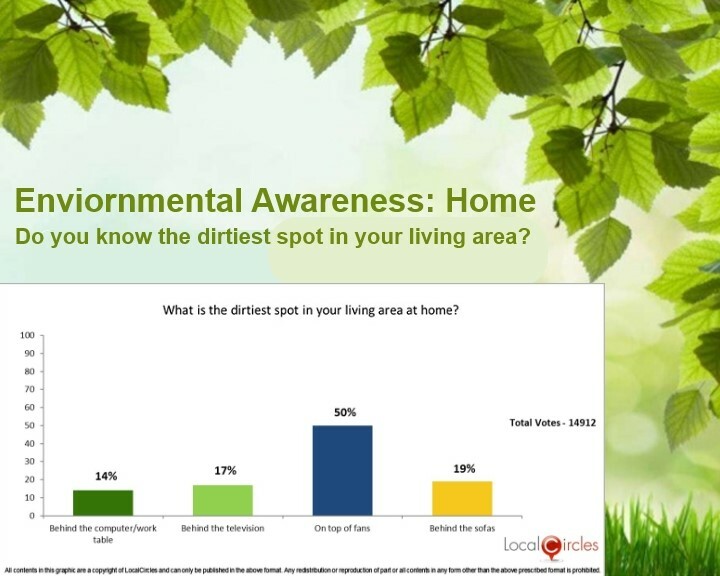 This survey will be an eye opener for a lot of people who thought that their house is pretty clean!